nice! 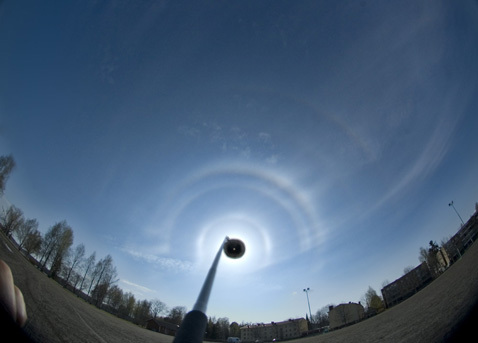 about the parhelia height, you could try to use some software to change the projection of the image to a cylindrical projection and use the streetlight in the bottom right corner as a reference for vertical axis. this way you could check if there is a true altitude difference between the parhelia.